At Ace Antiques and Collectables we can also service many of the things we sell. If you need a repair done, or are looking for parts to complete a piece, we may be able to help you. 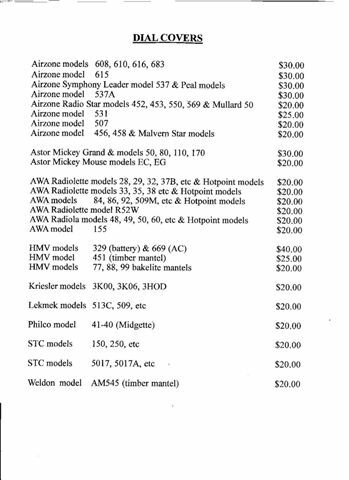 For radio perspex dial windows or covers, click here for the price list and to order anything, just email me the quantity and type. For reproduction dials, spare parts and bakelite repairs and reproduction knobs, click here for the price list. To order anything, just email me the quantity and type. worth a lot more than it is now.